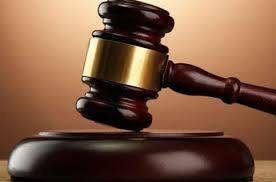 A MAN has dragged his ex-son-in-law to the Maintenance Court for the upkeep of one minor child. Mr Makhi Zulu on Friday demanded $150 from Eden Chuma for the maintenance of a six-year-old boy he sired with his daughter. “I have been taking care of his child without his contribution. The mother of the child is my daughter and she has left the child in my care. The child is in school and he needs a lot of things like uniforms. I am demanding $150 per month for his upkeep,” he said. Mr Zulu said Chuma is a self employed painter. Chuma said he could not afford the amount since he is unemployed. “I am currently unemployed. I am a self employed painter and I don’t earn much. I cannot afford to pay $150 a month. I am married and I also have other children. The only amount I am able to pay is below $70,” he said. Mr Zulu revised the amount he was claiming. "Considering he is not employed, he should pay $75 plus school fees and also buy uniforms for the child,” he said. Chuma agreed to Mr Zulu’s claims.